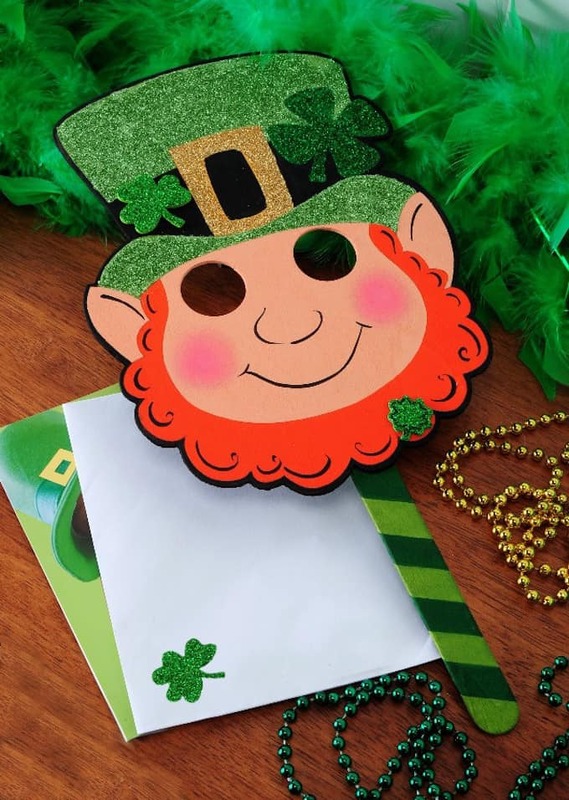 Don’t you love St. Patrick’s Day? It’s almost here! 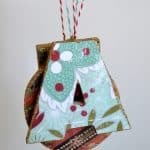 It’s hard to think of craft ideas, but there are a few good ones – and we’re going to share one with you today. 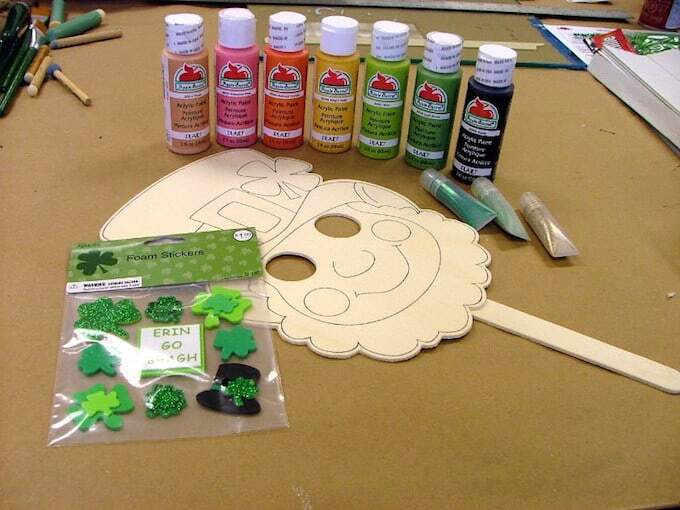 It’s also a great time to use BRIGHT GREEN glitter! 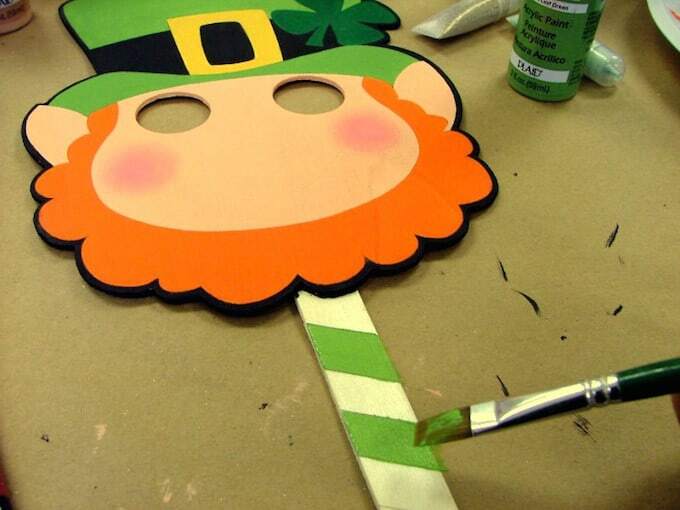 Plaid designer Julie Lewis decorate a $1 leprechaun mask that we purchased from Jo-Ann Stores using Apple Barrel paint. Gotta love those dollar bins! 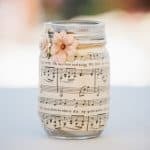 This project is great for the young ones and even for adults! Your co-workers will love you if you jump out from your cubicle with this mask in front of your face. I promise it will be a big hit! 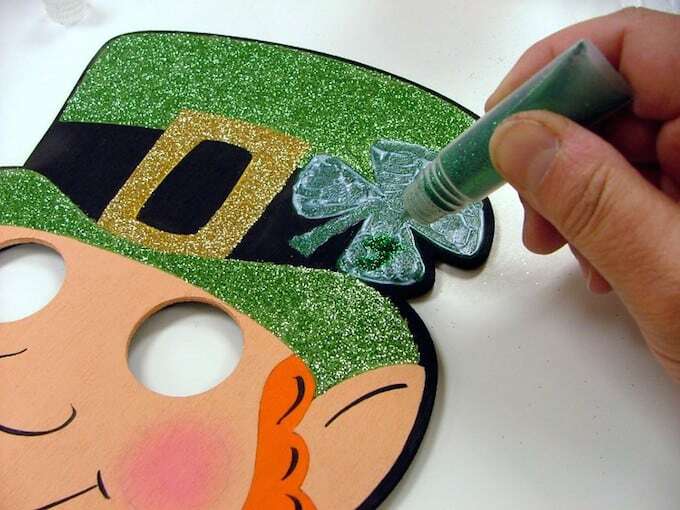 Here’s how to make a mask of your very own. Here are all the supplies (minus the Mod Podge). Can’t wait to have fun! 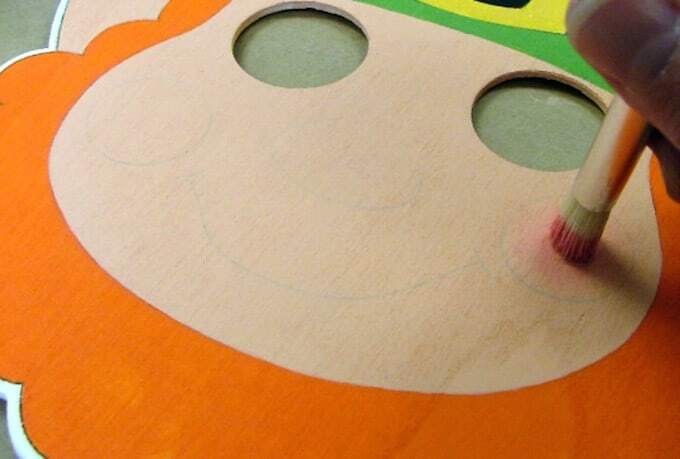 Paint the wood mask in colors shown – use different sized brushes as you need them. Dry brush the cheeks with a stencil brush (scrub excess paint off onto napkin). Draw diagonal lines on the handle with a pencil and paint with the colors shown. 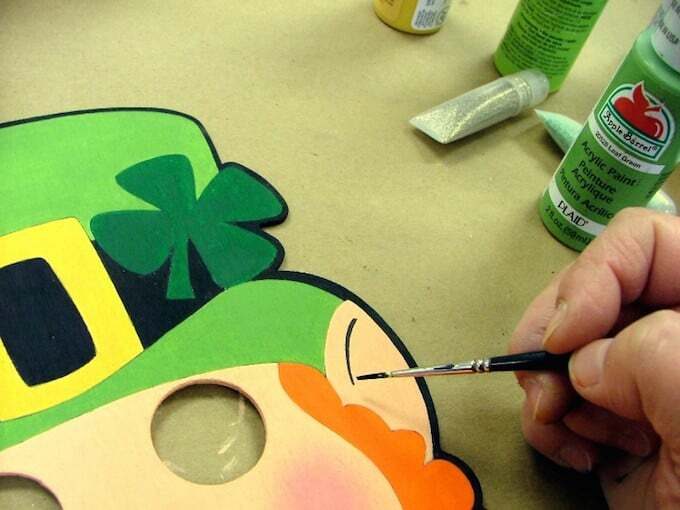 Outline the mask in black – and paint details with a liner brush. 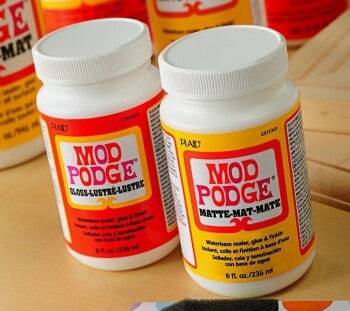 Apply Mod Podge to the areas to be glittered – do one area at a time. Sprinkle on glitter and tap off excess. 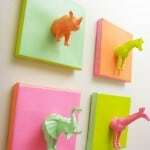 Attach foam stickers and allow to dry completely before using. 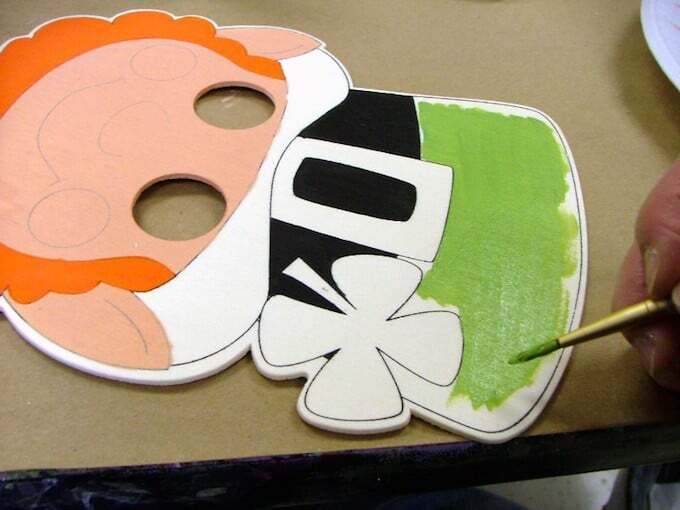 Now you have a mask to celebrate St. Patrick’s Day! So cute! 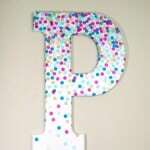 I’m going to make one!!! 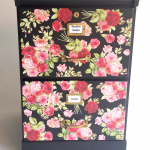 My little sis would love one too!